CIMA is worlds leading professional body of Management Accountants. Management Accountants analyze financial information from management perspective (as opposed to compliance perspective e.g. in audit etc) to improve business performance. In that sense it is business management function. 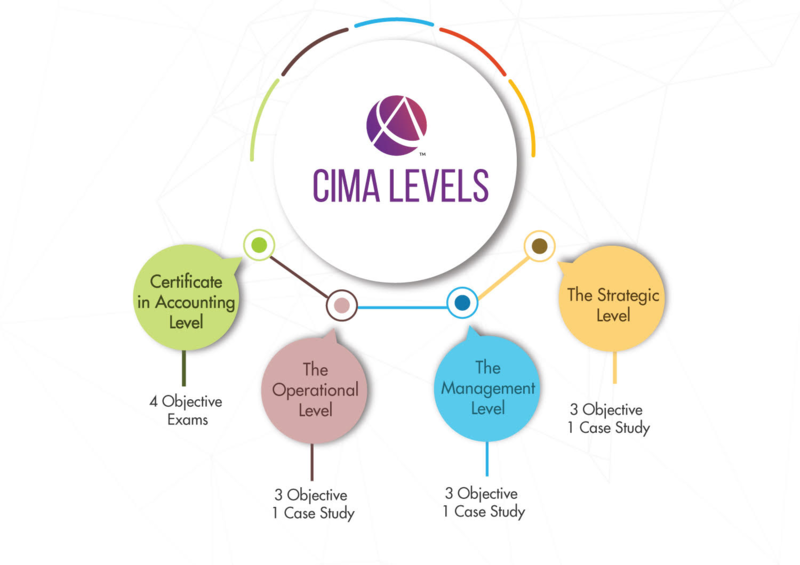 CIMA provides CGMA, which is jointly offered by CIMA and CPA (USA). The qualification is especially popular with European employers. 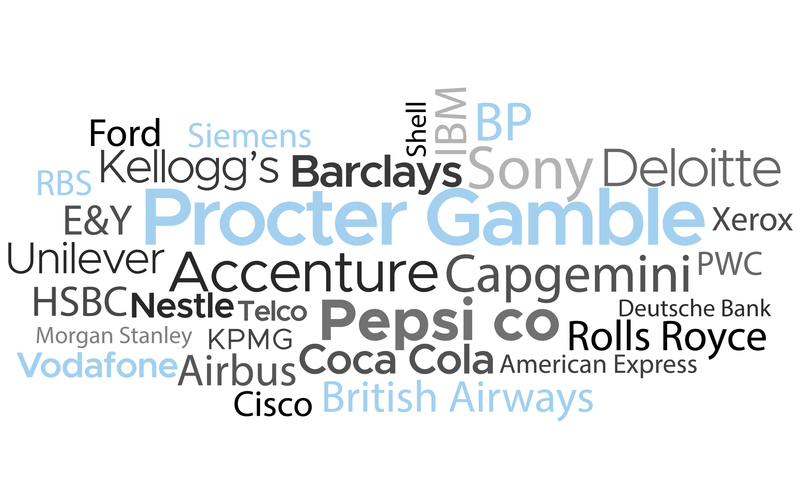 As per CIMA, its student are working with 96% of FTSE top 100 companies. 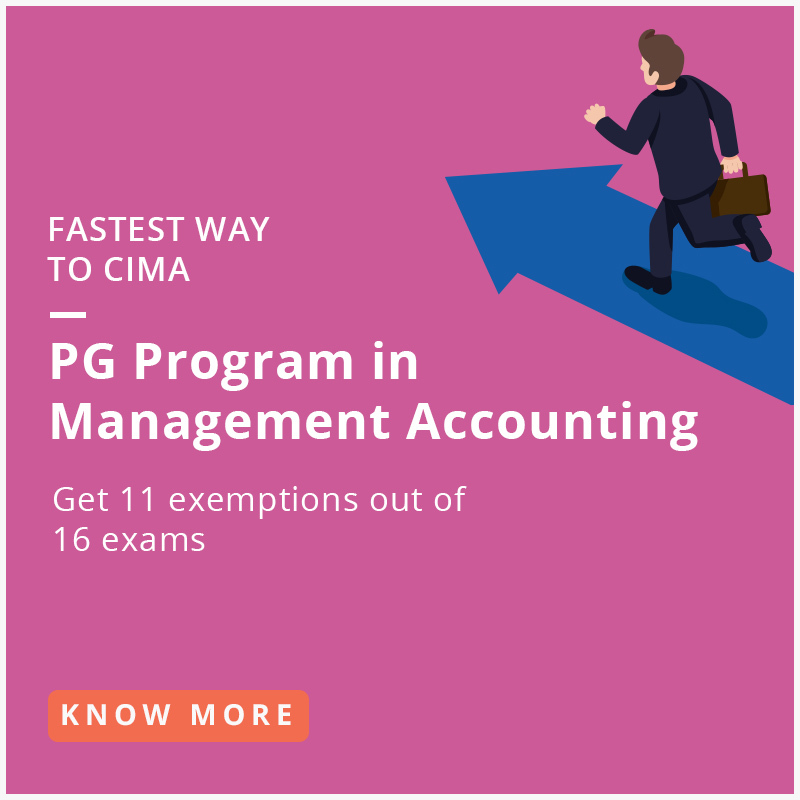 CIMA (Chartered institute of Management Accountants) established in the year 1919, is a globally recognized qualification for careers in Business & Finance. CIMA is the world’s largest professional body of Management Accountants with more than 218,000 members working in 177 countries. CIMA qualified professionals work in the field of Corporate Finance , Financial Reporting, Financial Analysis, Business Analysis, Project Finance, Treasury Management, Risk Management etc. In collaboration with the CPA (USA) institute, CIMA members receive an additional qualification- CGMA. CIMA has more than 4500 training and recruitment partners across the globe. More than 4500 companies are the partner of CIMA around the world and 172000 members across 160 countries, you get the advantage of exploring job opportunities or business opportunities. Registration and exam fee together costs between Rs. 2 to 3 Lakhs. It works out cheaper than available options. Due to the collaboration of CIMA with professional bodies CPA Australia and CMA Canada, CIMA members get preferential immigration status in the respective countries. Based on your background the student will enter the program from different routes. What is the cost of pursuing CIMA Qualification? There are four categories of fees that a candidate has to pay while pursuing the course. Registration fees: New students pay a one-time registration fee, which includes their first year’s subscription fee. Note: The CIMA subscription year runs from 1st January until 31st December. Subscription fees: To study CIMA you need to pay an annual subscription which is due on 1 January each year. Exam Fees: The student has to pay exam fees for every examination. Difference between Case studies exam and Objective type exams? The Objective Test Questions (OTQs) are used to assess all the certificate level and professional level subjects. You can take the assessment at any time of the year whenever you feel ready. OTQ have different types of question such as Drag Drag , Hotspot , Short answer (normal calculation), Drop down, Matching , Ranking, Sentence completion. You need to clear all three objective tests (or receive exemptions for them) from a single level before you can take a case study exam. In the case study exam, you have to apply your knowledge and learning across the three pillars at each level. The case study exam is set to make the students understand a real business environment. The case relates to a fictionalized organisation, however, is it based on real business or industry. Passing the case study exam will showcase that your ability to apply the technical, business, people and leadership skills from the three subjects at a particular level in a business context. CIMA assesses various skills in the case study exams which includes research and analysis as well as skills to present and communicate information. How is the CIMA qualification different from CA? Most accounting qualifications such as CA, CWA prepare candidates for private practice, financial reporting, audit and tax issues. In contrast, CIMA prepares you for a career in business. CIMA prepares you to work across an organisation, not just within finance. In addition to strong accounting fundamentals, CIMA teaches strategic business and management skills. CA takes more than 4 years to complete the qualification and the passing rate is about 5% per level whereas CIMA takes approximately 2-3 years to complete and the passing rate is about 40 to 50%. CA is recognised in India whereas CIMA is recognised in more than 176 countries. There are more than 1 lac CAs in India whereas the number of CIMA members is growing and the current number is less than 500. Moreover,, many companies across the world are managed by CIMA members. This is the reason why many companies are looking for CIMA members in India as well. How is the CIMA qualification different from CWA? Both CWA and CIMA are Management Accounting qualifications. ICWAI gives more focus on Costing and Finance Accounting , whereas CIMA also focuses on Management Accounting along with strategic business, costing and management Skills. CWA is an Indian Qualification whereas CIMA in an international qualification with more than 195000 members in 176 countries. Regarding passing rate, CWA stands at 5% whereas the passing rate in CIMA is between 40% and 50%. CIMA focuses on Business which includes Management, Costing & Financial Accounting whereas the focus of ACCA is more on auditing and accounting work. CIMA members are present across the globe whereas ACCA members are concentrated in the UK. How is the CFA different from CIMA? CIMA focusses more on Management Accounting and also trains you for making strategic business decisions. With skills like these, you can work across verticals in an organisation. Whereas, CFA or Chartered Financial Analyst prepares you for a global career in the Investment and Financial Research industry. CFA is a highly valued global recognition, wherein your role will be focussed more on analytical work in the financial services sector. Which qualification will offer better job opportunities in India: CFA or CIMA? Both the qualifications will offer better job opportunities in the Indian job market. CFA was introduced in India before CIMA, Which is why there are many opportunities for them in the job market. But at the same time, more than 20,000 candidates are writing CFA exams in India which is intensifying the competition for them in the job market. While in CIMA, jobs are not restricted to Financial Services Sector, many European and US-based companies such as Vodafone, KPMG, Ford Motors, Pepsico, Accenture, WNS are hiring CIMA members in India. But due to lower numbers of CIMA members in India, many of these companies are not able to fulfil their requirements. Why passing percentage of CIMA is higher than CA or CWA? I want to do an MBA in Finance after Graduation? Please let me know how CIMA or PGP Management Accounting can help me? Global Recognition: CIMA Professional Qualification is recognized in 176 countries across the world and nearly 4500+ top recruiters across the world have hired CIMA members in the last year. 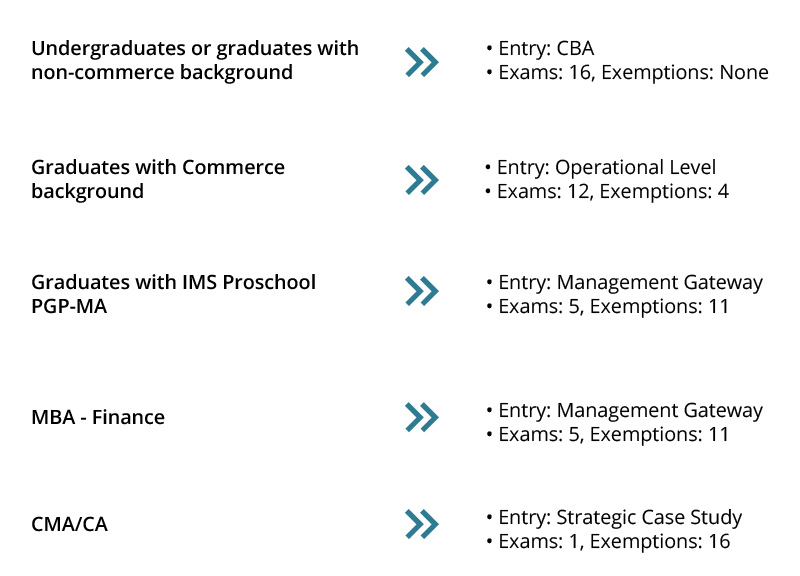 These give CIMA an edge over most of the MBA programs in India. Moreover, after completing CIMA, members get joint qualification by CPA as well. Fees: The fees for CIMA qualification (Rs.1 lac to 1.8 lac) is low compared to the MBA course fee. Moreover, many of the candidates find job opportunities while pursuing CIMA. Salary: The average salary of the CIMA Professional is very high compared to MBA graduates. Most CIMA professionals get an average salary Rs.12 lac. Professional vs Management qualification: The big difference between CIMA and an MBA is that a CIMA qualified member is entitled to call himself/herself a qualified management accountant. This is not the case with an MBA since it is a management qualification. Knowledge and skills: CIMA qualified members across the world are at par in terms of knowledge acquired. However, with the MBA many different institutions offer courses and hence the knowledge and skills levels are highly variable.